It's 3D Wednesday with My Creative Time! 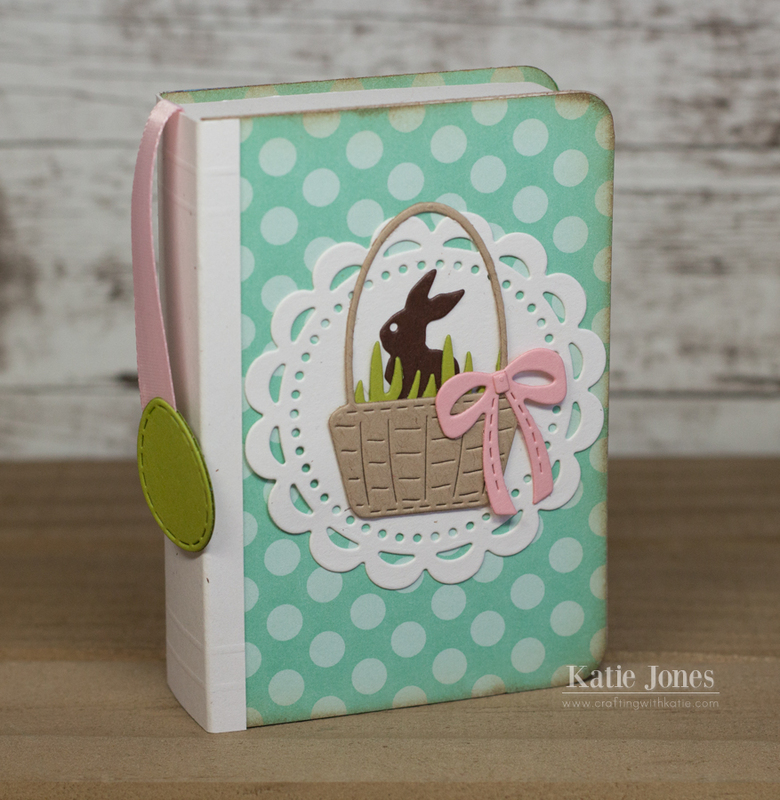 Today I created a cute little Easter book box. I think these are so adorable, and they are actually quite easy to create without any special tools, following a tutorial on the Stampin' Nerd blog. I decorated it with a doily made with one of the Bunch of Stitched Doily Dies. I then layered that with a scene made with a basket and bow from Hello Chickie, grass made with one of the Pretty Edge Dies, and a cute little bunny made with one of the Mini Bunny Dies. 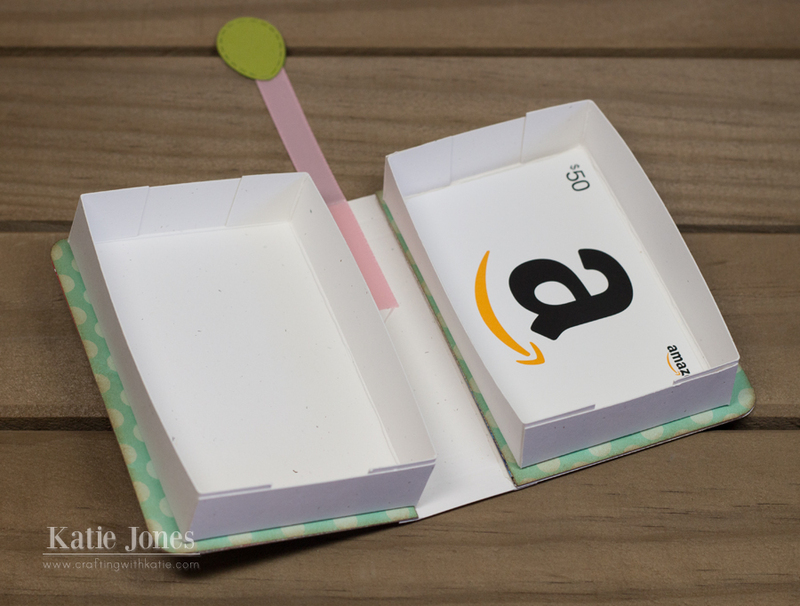 When the book opens up it reveals a little box that is the perfect size for a gift card! I even added a ribbon with a couple of eggs from the Scalloped Egg Dies attached to the end of it to use as a bookmark. Hi Katie, I just love your sweet Easter box!! Where did you get that adorable polka dot paper? OMG Katie....WOW....Your 3D Easter Treat Box is Fabulous!! To be honest at first I thought it was a book.....love the paper you chose, the colors, your book mark is so cute and the top is adorable with your sweet doily and bunny..Love too the look you achieved with inking the edges...gives it that vintage touch..you totally did a Super Outstanding Creative job!! I LOVE IT!! YOU SO ROCK!! This is so adorable, I can't wait to make one!! Oh My! This is a super clever idea and I love how you made the cover to this cute book/card treat holder. Beautiful job...I like the basket with the bunny! This is so super cute!!! LOVE this gift card box! FAB!